Following our story on Portuguese breeds of dogs and the Podengo breed, I would like to showcase another magnificent breed called the Castro Laboreiro, considered to be one of the oldest breeds in the Iberian Peninsular. Incredibly this breed is linked exclusively to the mountainous village of Castro Laboreiro from where it takes its name. The village is demarcated by the Peneda and Soajo mountains and the Minho and Lima Rivers with a rugged terrain of altitudes of reaching up to 1,400 mts. and frequent rain and snow. The region was for centuries virtually incommunicado until a few years ago, when previously the only way to reach it was along almost impassable winding paths either on foot or with animals accustomed to mountain trails. It was predominantly agricultural county but there is strong existence of archaeological sites including megalithic monuments, forts and rock art and even signs of the Romans which can be seen by the beautiful stone bridges that remain. 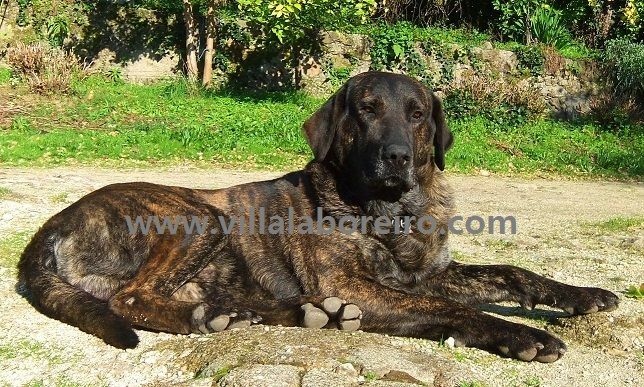 Castro Laboreiro was once considered a stronghold village and its inhabitants were dedicated to farming however this isolation led to the emergence of a type of dog with very specific characteristics that differentiates it from other Portuguese breeds. 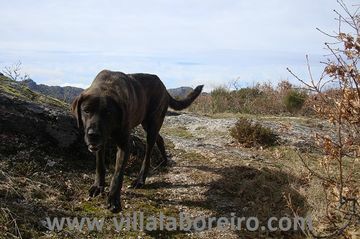 The origin of the Castro Laboreiro dog is not easily recognizable but it can be said that its traits are similar to those of other Portuguese breeds such as the Alentejo Rafeiro (Alentejo Mastiff) and the Serra da Estrela (Estrela Mountain Dog). There is even thought that it may have originated from the Tibetan plateau, spreading throughout Europe (apparently similar to what happened to the Serra da Estrela breed) but another and more simpler theory is that through village isolation in prehistoric times and contact between man and the domestication of the wolf, that this breed evolved. From here a consequent natural selection by man and mother nature, through the elimination of weaker animals plus isolation, would have avoided contamination with genetic bloodlines thus keeping the breed at its purest. It is therefore an extremely old breed that still carries certain characteristics such as lupine (wolf-like) temperamental reactions and in some cases yellow eyes. With small pastures and a few animals (perhaps sheep, one or two cows and a horse) belonging to a family, there was a necessity to have a shepherd dog to protect the small herd and this job was entrusted solely to the Castro Laboreiro dog. Their first reaction to protect a flock would be to search out the hidden enemy by circling around the area and then keeping watch whilst laying low amongst the cattle. In the case of more vulnerable animals such as sheep, the dog would remain close to the flock keeping guard. With increasing accessibility breaking the isolation of the region, there was concern for the breed’s degeneracy through the introduction of foreign bloodlines. It was here that Father Anibal Rodrigues, the local pastor of Castro Laboreiro, became aware of the cultural value that this breed represented to the region. His efforts in conserving the breed proved a difficult task with the vast migrant movement in the 50’s and 60’s to other countries where there was a disrespect for traditions and values of the region. Father Rodrigues’s work began, with the collaboration of the Portuguese Kennel Club, by starting the very first canine competition in Portugal in 1954. It was aimed at encouraging owners to preserve the quality and indeed the breed itself which was, at that time, in danger of disappearing. From 1960 there was a notable decrease in numbers but this figure recovered in the 1980’s mainly due to the growing interest of dog breeders who worked hard to preserve and recuperate this magnificent breed of dog. 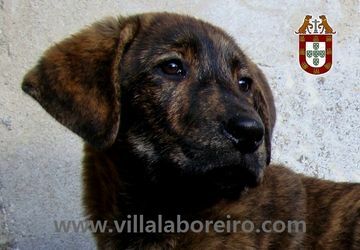 Later the Castro Laboreiro Dog Club (Clube do Cão de Castro Laboreiro (CCCL) was founded in 1989 and all have been fundamental in preserving the ancestral characteristics of a breed that was on the way to extinction. 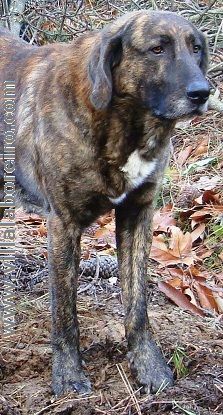 The Castro Laboreiros have a mastiff type lupoïd dog appearance with rather rectangular lines. They are a strong dog with a beautiful appearance and an often striking coat. They have wolf-like colours of all shades from very light to medium and dark shades. 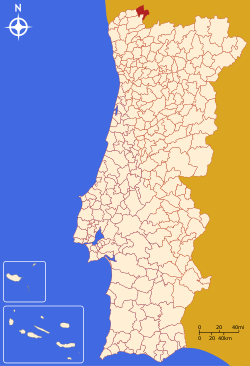 The most preferred, however, is the locally called “mountain colour” considered by the breeders in Castro-Laboreiro as a characteristical ethnic trait: a mixed coat, similar to the coat of a wolf, greyish, in lighter or darker shades, not black, with brown (pine-seed colour) or reddish (mahogany colour) hairs interspersed on parts or over the whole body. Curiously they have a characteristic bark that is very loud starting in variable, generally low tones and ending up in prolonged high-pitched sounds similar to howling. Considered very brave and protective dogs, they are intelligent, very dominant and fearless. Loyal and docile to their owners, they are considered trustworthy and very tolerant towards children within their own family. Today they are chosen not only as guard dogs but as loyal family pets. 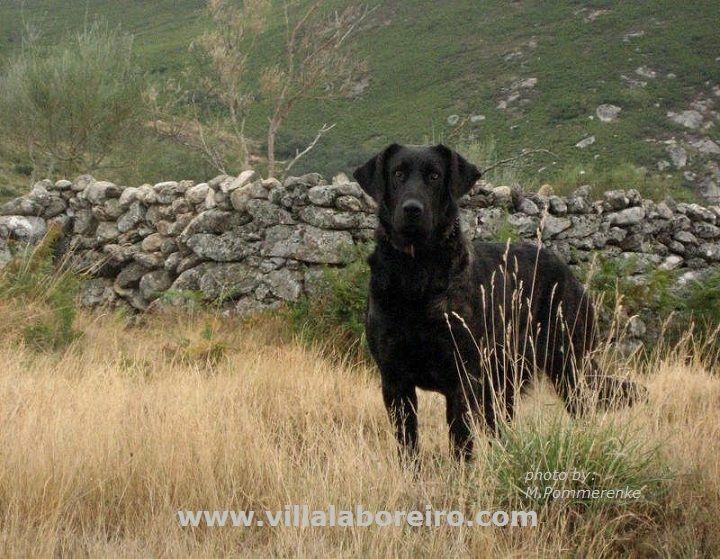 In writing this post, special thanks go to Villa Laboreiro, a certified breeder for Castro Laboreiro dogs located in the north of Portugal, for allowing me to use photos of their beautiful dogs. This entry was posted in Animal Shelter, Animal Welfare, Portuguese Dog Breeds and tagged Animal Rescue, Animal Shelter, Animal Welfare, Castro Laboreiro Dog Breed, Portuguese Dog Breeds, Shelters and Rescues, Unwanted Animals. Bookmark the permalink. Absolutely fascinating article and what magnificent dogs. I just hope that no one decides to get the UK Kennel Club to include them in Crufts, because then they will become a fashion fad and unsuitable people will breed and buy them, as has happened with so many other breeds. Thank you! Yes hope not as well – keep fingers crossed!